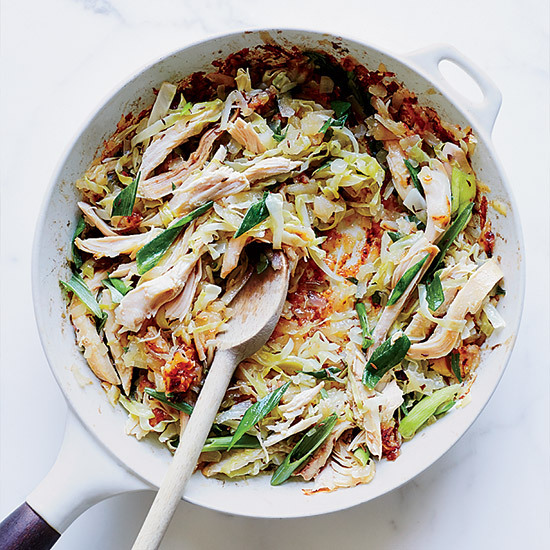 Put a fun spin on the classic sandwich. The Reuben—with it's delicious layers of corned beef, Swiss cheese and tangy-sweet Thousand Island dressing—is an iconic and beloved sandwich. While nothing beats the classic, we've come up with a few ways to give the messy, saucy sandwich a tasty makeover. From quick turkey hash to amazing eggs Benedict, here are seven ways to get creative with the sandwich's beloved flavor profile. Combine turkey with potatoes, sauerkraut and caraway for a fun, brunchy play on a Reuben sandwich. 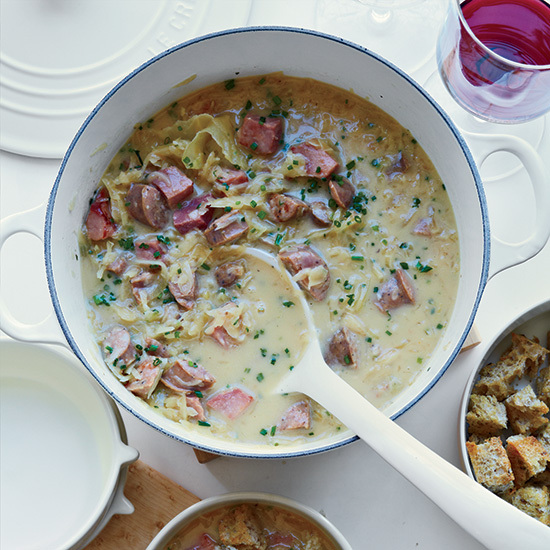 This fantastic, tangy chowder has all the terrific elements of a Reuben sandwich in a creamy soup: smoked meat, sauerkraut and toasted rye bread croutons. 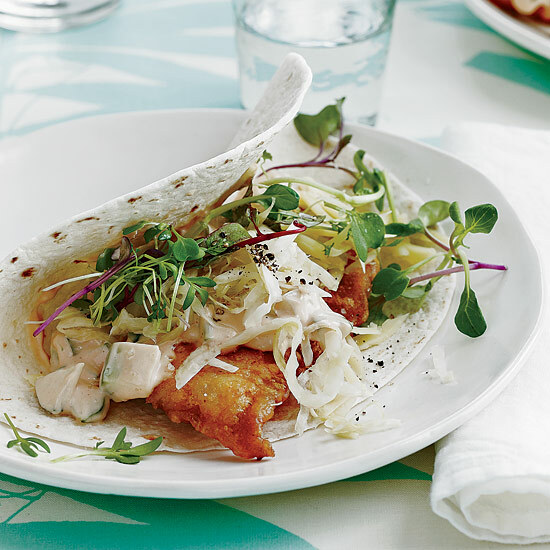 Chef Amanda Howell's amazing Reuben-inspired tacos are made with fried flounder, Jarlsberg cheese, sauerkraut and Russian dressing. 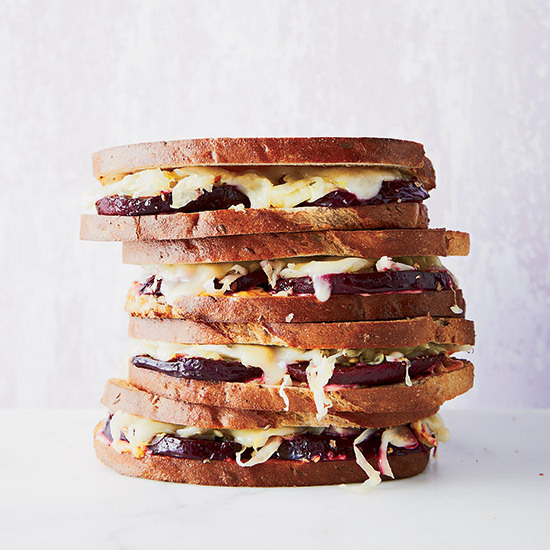 Roasted beet slices stand in for the usual pastrami in this delicious vegetarian version of the classic sandwich. 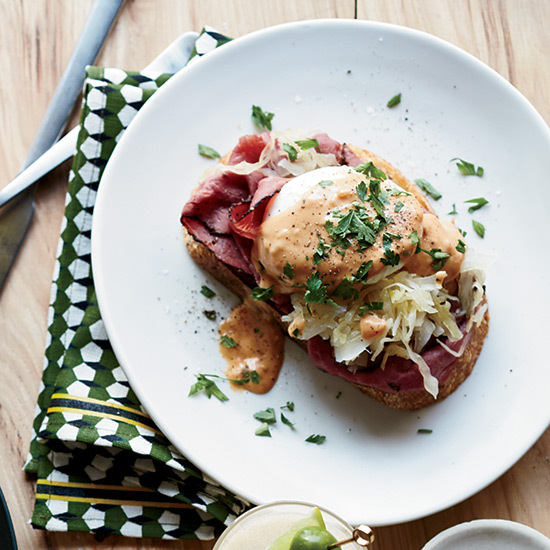 A Thousand Island-style hollandaise sauce covers the eggs in this delicious spin on eggs Benedict. 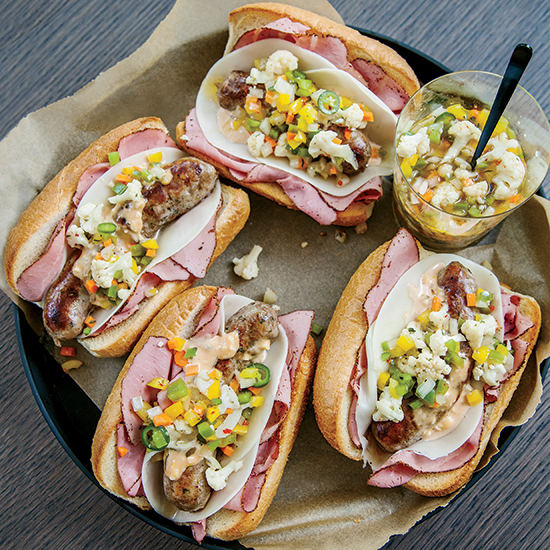 Chef Viet Pham tucks bratwurst into hearty hoagie rolls along with juicy pastrami and sliced Swiss cheese, then spreads them with his homemade Russian dressing. 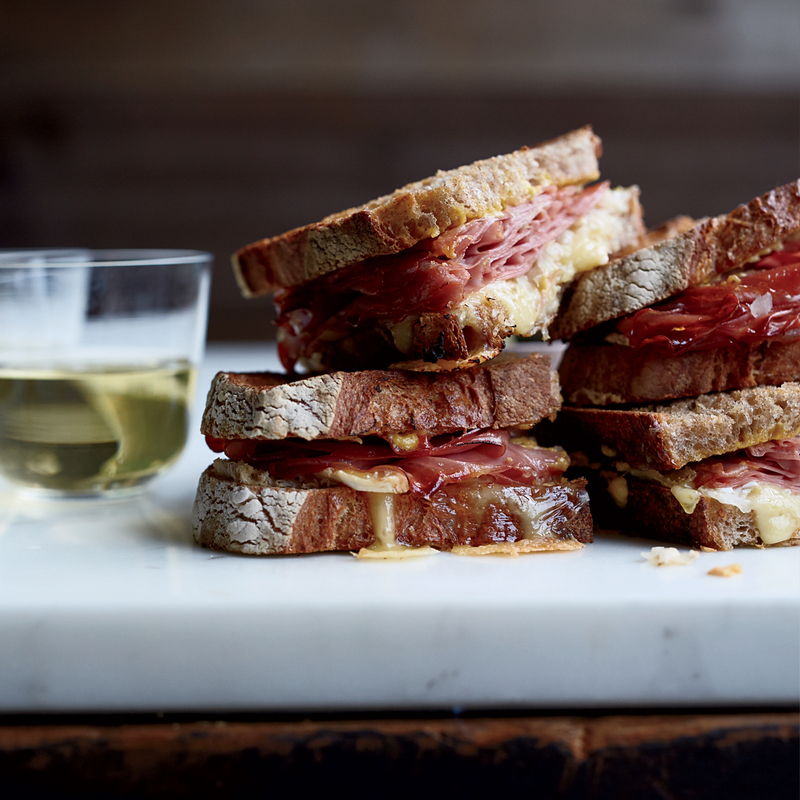 Warm melty brie and garlicky aioli star in this clever take on a Reuben.